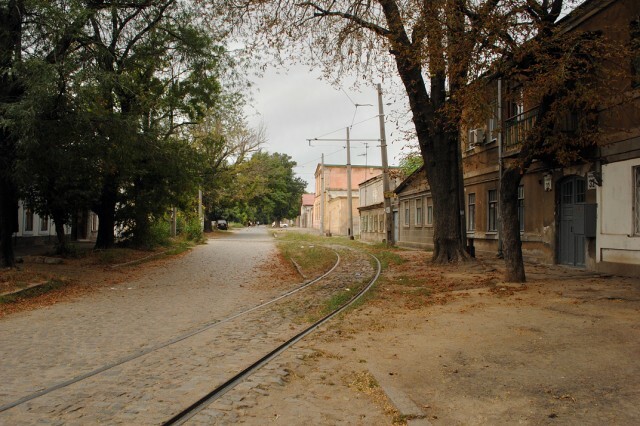 In 1905 Slobodka-Romanovka was a working class area of Odessa isolated from the rest of the city by the railway line that ran through the valley between the city and the suburb. 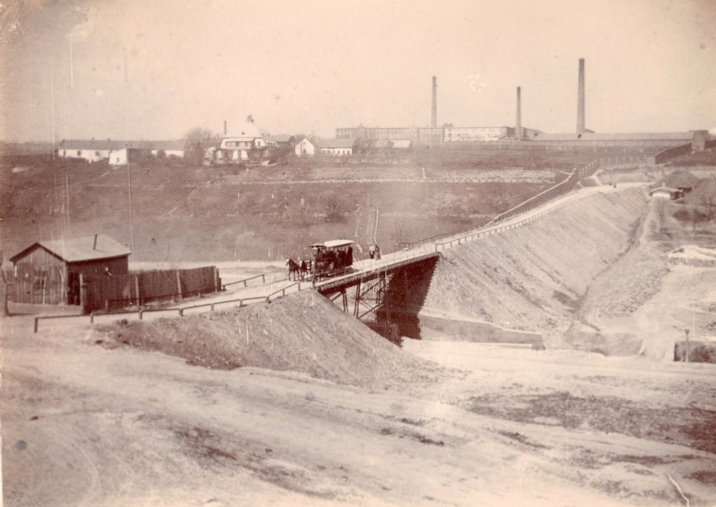 There are very few online photographs of this area, especially from the past, but one shows the geography of this industrial area. Residential streets are mostly lined with long one-story houses. 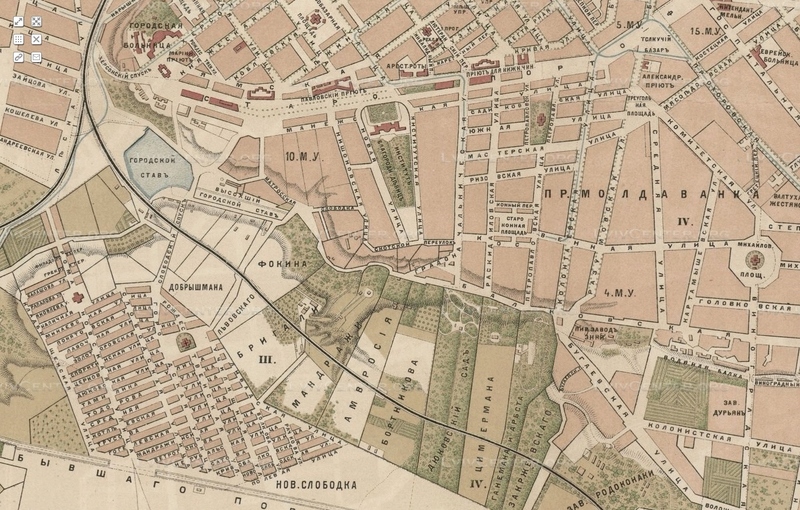 Slobodka-Romanovka is mentioned repeatedly in the newspaper articles and the reports of the pogrom. Unfortunately, most of the street names have been changed, so it is a challenge to try and imagine what happened to the various families who were said to have been totally wiped out during the pogrom, but a few clues remain. The Weitzman (Вейцман Veitsman) family is mentioned in the Jewish Chronicle as one of three families that were completely wiped out by the pogrom. 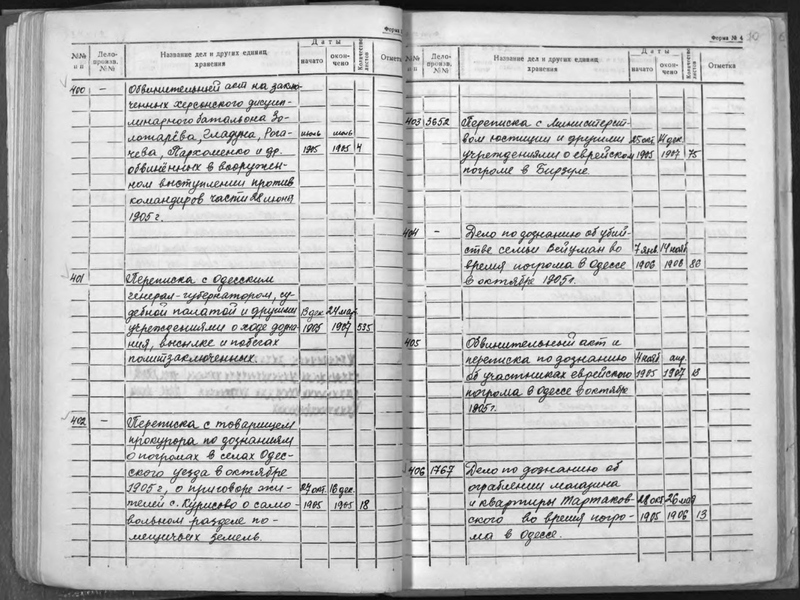 The Weitzmans come up again and again in the records – four members of the family are in the death records, there is a story about them in The Odessa pogrom and self defence 1906, they are in the court records of the Odessa archive, Fond 634, Procecutor of Odessa District Court (Prokuror Odesskogo okruzhnogo suda), 1870-1917, and they are mentioned in an article written by the Odessa archive about their Jewish records. The four victims in the records, all men, were Naum, age 13, Yakov, 20, Khaim-Khaikel, 35, and Avrum, 58. 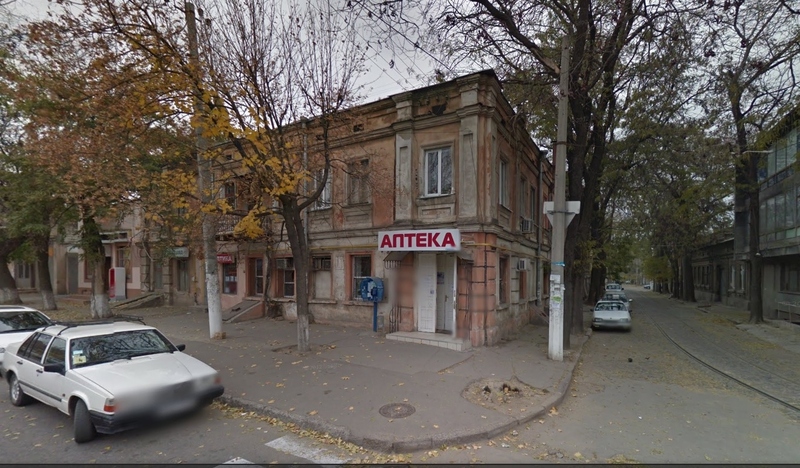 In the 1904-5 directory, an A Veitsman owns 63 Gorodskaya, at the corner of Krivovalkovskaya. There are very few house numbers on the street but a large renovated cream-coloured house with its outbuildings to the left has a double gate labelled 63B, and is one of the largest houses in Slobodka. The other two families said to be wiped out in the Jewish Chronicle article were Davidovich and Rubinstein, both fairly common names, neither of whom appear in any directories in Slobodka. There is one member of the Varshavsky (Варшавский) family in the pogrom death records as well, Shulim-Leizer Husinov Varshavsky, age 40. The Weitzman family is also listed in Fond 634, Prosecutor of Odessa District Court, 1870-1917 as an investigation into the deaths of the Weitzman family during the October 1905 Odessa pogrom. In The Odessa pogrom and self defence, 1906, the story of the Weitzman family is spelled out in more detail. Veitsman and his family wanted to hide at the Slobodka town hospital where he was acquainted with Dr Golovin (professor of ophthalmology); but they were not allowed at the hospital. The policemen Kolloli, Ivanov, Andreev and the coachman killed four of the Veitsman family and five died later in hospital (a discrepancy with the archive information where it says 6 out of 9 died)…At the Potapenko building, 16 were killed. As only four of the Veitsman family are in the pogrom death records, this implies that those who died a few days after the pogrom from their injuries were one group that were not included in the records. I looked up Veitsman in the 1908 directory and found A Veitsman still listed, at 61 Gorodskaya, but still at the corner of Krivovalkovskaya, with number 63 at the corner of Krivovalkovskaya and Novoslobodskaya, a street which intersects Gorodskaya immediately after Krivovalkovskaya, so another house must have been built in the small space between the two streets. In 1914, the person who had been listed at number 59, had now bought number 61. 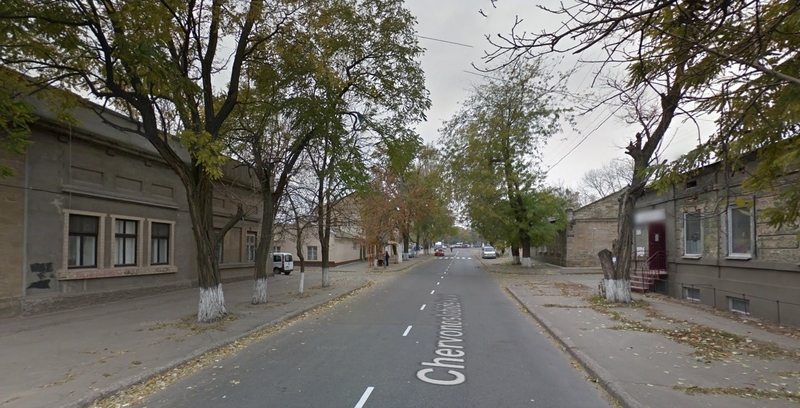 The Potapenko building mentioned at the end of the Weitzman story was in the middle of Gorodskaya St, number 15 where it crosses Tserkobskaya. There is no way to know whether the 16 people killed in that building are scattered among those in the pogrom death records. Tserkobskaya means Church St, and there was a square with a church at the end but this has now become a market. Gorodskaya means Town St but the name was changed to Chervonoslobidskaya and now incorporates another street so the numbers have been changed on one side, making it impossible to know which side of the corner was number 15. The 1906 report on the pogrom also mentions 4 other men besides the Weitzman family who were killed in Slobodka. Kofman, 47 years old, was thrown out of a second-floor window by the local head of police, Kolloli. Kolloli also cut the throat of the youngest son of a musician, Vaska Nebos. 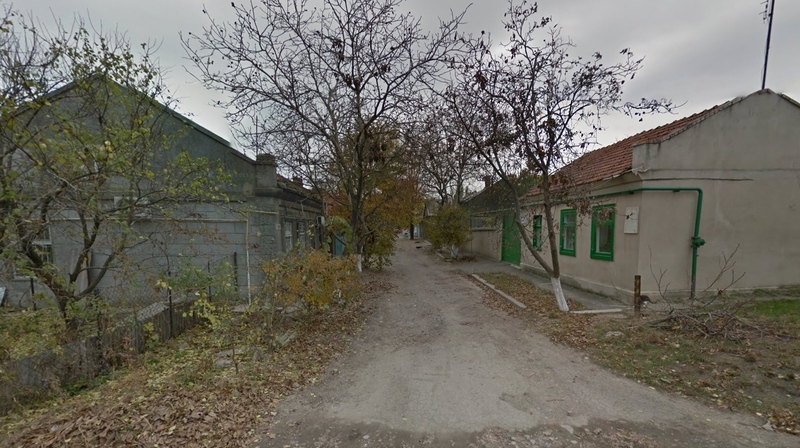 In the pogrom death records there is a Shmil Yankelev Kofman, from Kishinev, who was 58 years old, and a Khaim Ioinovich Kofman, from Dubossar (Dubasari near Kishinev), who was 21. Was the age of the 47-year-old wrong in the records or the report, or was there another Kofman who died in the pogrom? Another two men who do not appear in the records, Garbar and Leo Lycuyu, were killed by the policeman Ivanov. The plumber, Negurov, and his sons, killed Motel Sheindels and his wife. There is a 50-year-old Mordko Sheindels from Kherson and his wife Khaya, also 50, in the pogrom records. Her name is spelt Sheindlis. This name seems to come predominantly from Vilna, spelt Sheindels, with some migrating to the Minsk area and Kishinev. According to the names of people who died in the Holocaust on the Yad Vashem database, there was the name Sheindlis in western Ukraine in Derazhnya and Khmelnik, which may be why the name is spelt in two different ways in the pogrom records. I will return to this family as I trace the story of two orphans, Josef and Israel Scheindless, who were taken to America in 1906. The plumber also killed David Podolsk. Of this group of 7 people, 4 were not in the records. I could not find anything about the names Garbar, Lycuyu or Nebos. However, Kofman was a very common name in the 1904-5 directory. 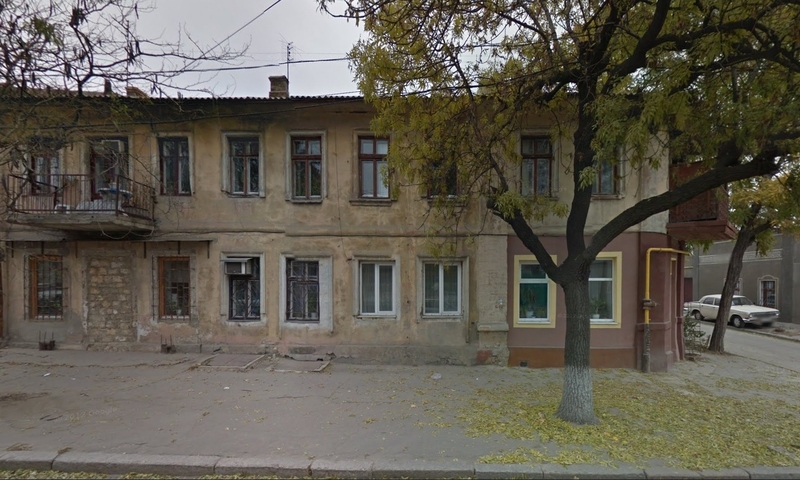 There were several Kofmans who were businessman living in the centre of the city, several doctors, two properties owned in Moldovanka, and one person, I Kofman, who lived in Slobodka at 39 Sporitinskaya St (now Badajeva St), which was one street over from Tserkobskaya or Church St, where 15 people were killed. Khaim Ioinovich may have been his son. Shmil Kofman may have been renting property or living with family. 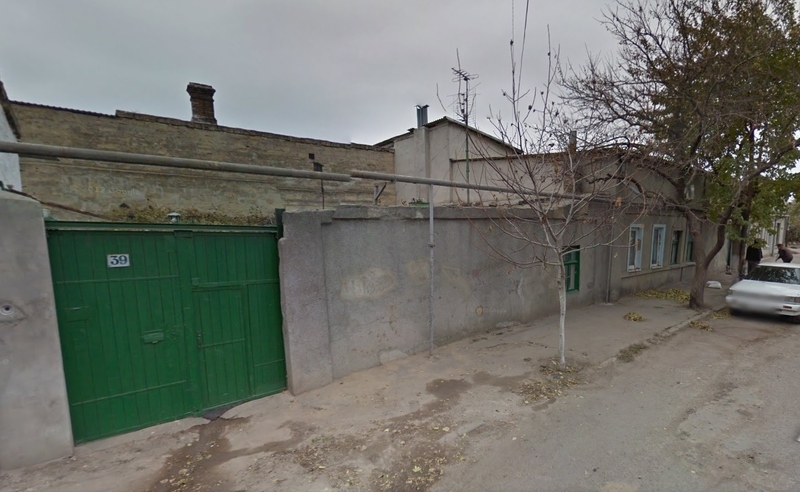 39 Sporitinskaya is a typical one story Slobodka house on a small lane with double gates to a yard at the side. Many of these small lanes are still barely paved. Osip is not the kind of name that turns up in the pogrom death records, which tend towards more traditional Jewish names. 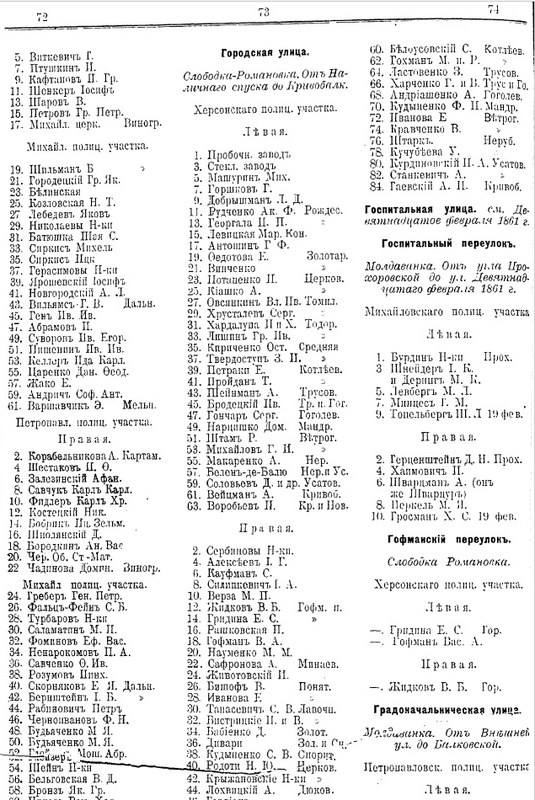 I noticed in browsing through an online document of the 1903 Odessa University enrolment that the Jewish students were more likely to have Russian first names, like Osip, especially those whose fathers were first or second guild merchants (купец). So were the Kofmans in Slobodka targeted because they were related in some way to or involved with Osip Kofman, who was distributing illegal literature in Odessa, or was this simply a coincidence? 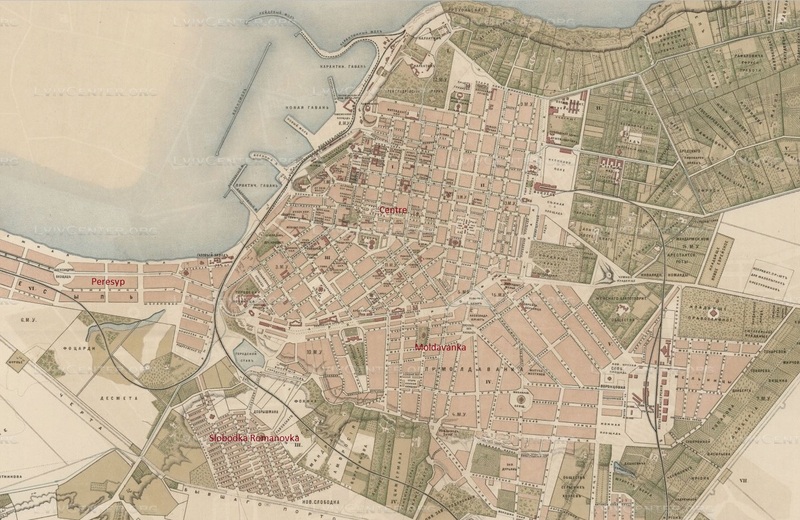 One last story in the 1906 chapter on the Slobodka pogrom concerns a 13-year-old boy, Moishka Shuster, who was hiding on the roof of his building behind the chimney as firing was going on inside the building and soldiers were firing bullets from the street. To complete their work at the house, the policeman, Ivanov, climbed to the roof, struck the boy with his axe, and threw him down to the ground. The boy’s arms and legs were broken and he lost all his lower teeth, but he lived and was taken to hospital.